We get orientation and information in the labyrinth of the old town as well as impressions of the small port and the churches in town. 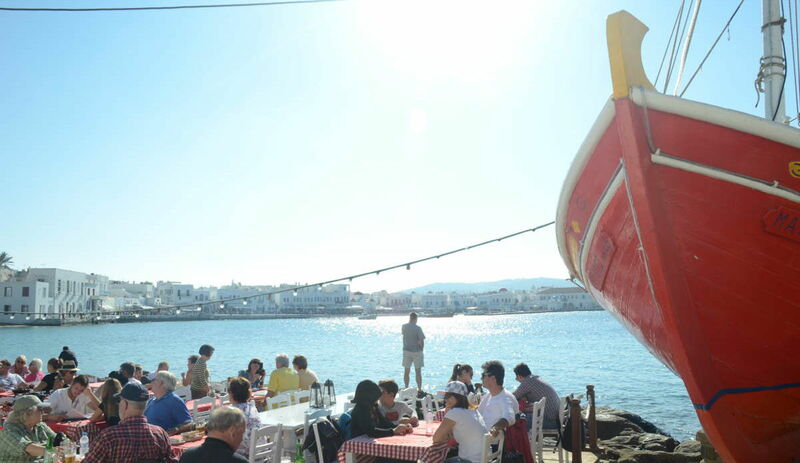 Of course we will also see the famous windmills and find Petros the Pelican, the mascot of Mykonos. In the second main village of Mykonos, Ano Mera, an idyllic place 6km from town, the guests have enough free time for a stroll around the traditional square and they can also visit the monastery of Panagia Tourliani built in the 16th century.